L'Oreal Paris Colour Riche Le Kohl Liner - Review & Swatch | Sahrish Adeel - Malaysia based Pakistani Beauty & Lifestyle Blogger! All the rave about L'Oreal Paris Colour Riche Le Kohl Liner made me have high hopes with this liner. Find out if it was a hit or a miss for me. 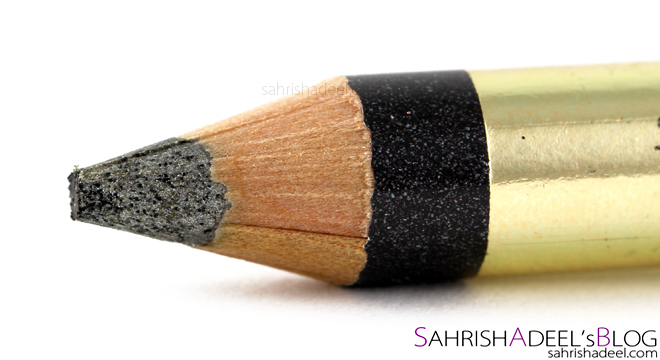 L'Oreal Paris Colour Riche Le Kohl Liner is an average sized pencil liner with really creamy textured formula. It comes in over six shades. This particular shade is 111 Urban Grey. 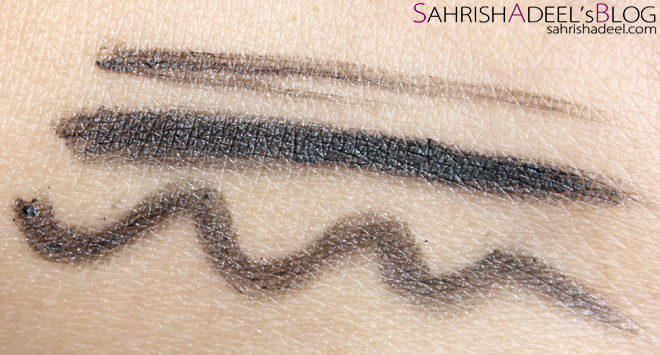 This eyeliner has a very creamy formula which glides onto the eyelid and waterline very smoothly. The pigmentation is also really great and I am in love with the color pay off for this liner. It stays for good three hours on my eyelids but starts to smudge as soon as I apply it mostly because of my oily eyelids. If applied over an eye primer, it stays for even longer but still smudges throughout the day. But with or without eye primer, it eventually goes away on its own, don't even know where. Since the formula is really creamy, you need to be really careful while sharpening it as it break easily as well. I also loved the fact that this eyeliner did not irritate my waterline at all. I also really liked this particular shade as I am now into grey and brown eyeliners as they don't look dramatic for daytime and casual wearing. Overall, I loved most of the things about the liner but that smudging part was a total turn off for me. I know my eyelids are oily but I have used eyeliner in past which stays. L'Oreal Paris Colour Riche Le Kohl Liner costs pkr 699 and you can find it on all major stores across Pakistan where they have L'Oreal's counter. Do check out their Facebook page for more details. You can also buy it online from Just4Girls.pk, they ship withing Pakistan. I could not find this product at my near drugstore in Malaysia so far but will still look for it. People living abroad can order this product from many website like Boots, Drugstore, Amazon, eBay etc, costs around $6-$7. Have you tried this eyeliner yet? How was your experience?